“Whole Paycheck” no more. 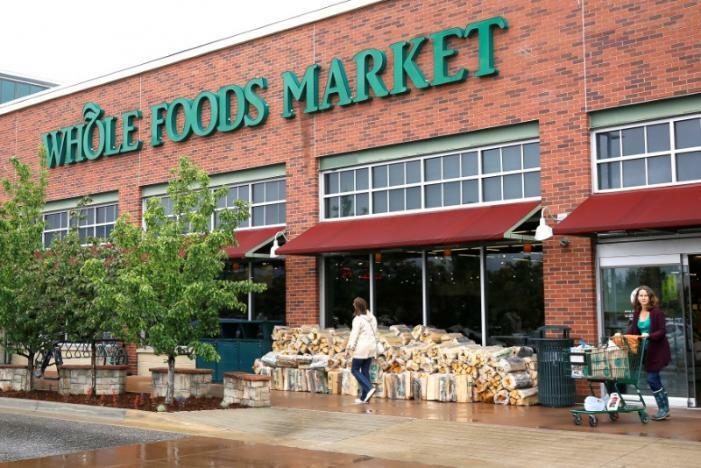 Today is Whole Foods' first day as an official part of Amazon.com, which bought the grocery chain for $13.7 billion. Around the country this week, prices at Whole Foods Markets are down a third or more on some of the more popular produce items like avocados and apples, no doubt part of Amazon's plan to rid the chain of its bad rep for high prices. Another change you'll see, starting today, are the presence of Amazon devices for sale in Whole Foods stores. Echo Dot are on sale in Whole Foods stores for $99.99 and $44.99 respectively (same price as they are today on Amazon). More changes and discounts are in the works, reports Reuters. Signs posted around the Los Angeles store announced the reductions. The price of Hass avocados was slashed by 33 percent to $1.99 each, down from $2.99. Fuji apples sell for $1.99 a pound, from $2.99 previously. Meat and fish prices were also cut. New York strip steak and boneless rib eye prices dropped to $13.99 per pound from $16.99, a reduction of nearly 18 percent, while the price for “responsibly farmed” Atlantic salmon filets fell to $9.99 per pound from $13.99, down almost 29 percent. The new Whole Foods prices, in some cases, were lower than those at a nearby Ralphs grocery store. Ralphs is owned by Kroger Co (KR.N), which has a reputation for competing aggressively on price.